Spotted in London playing this accoustic version of this famous Nina Simone single. According to Youtube, her name is Susana Silva. Doesn’t sound bad this rendition of hers. Next Chrissie Hynde perhaps? WARNING: This may be a hoax or a wind up. Either way, it’ll crack a few of your ribs. 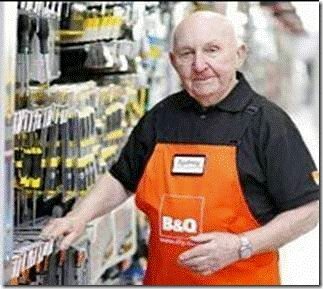 B&Q JOB APPLICATIONThis is an actual job application that a 75-year-old pensioner submitted to B&Q in Tunbridge Wells. They hired him because he was so funny…. DESIRED POSITION: Company’s Chief Executive or Managing Director. But seriously, whatever’s available. If I was in a position to be picky, I wouldn’t be applying in the first place – would I? DESIRED SALARY: £150,000 a year plus share options and a Tony Blair style redundancy package. If that’s not possible, make an offer and we can haggle. The weekend premiership clash between Liverpool and Arsenal at the Emirates was disappointing to watch for more than one reason. The Obama administration lost control in the House of Representatives last week and nearly did the Senate as well. With new speaker meant to be a republican, the Senate and House of representatives seems to be in a split, making it a tricky time for US politics. Phillip Breeden, Foreign Affairs spokesperson for US Embassy in London, feels it still isn’t a very unusual scenario for American politics.